Cleans, polishes and protects. safe to use in food preparation areas. Water-based with a pleasant fragrance. Does not contain harmful chemicals. For the cleaning and brightening of aluminium and it's alloys. Also suitable for the descaling of industrial and kitchen equipment. 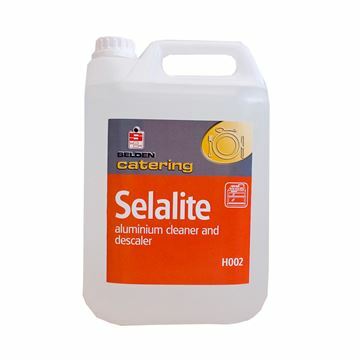 For rapid cleaning and polishing of all stainless steel, chrome, aluminium, laminates and enamel. 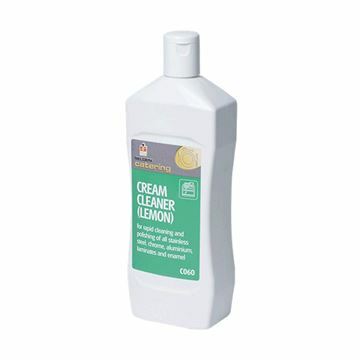 Cleans, polishes and protects in one easy action. 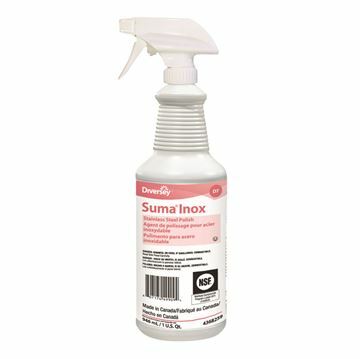 Non greasy film resists fingermarking and dust. Restores surface to original lustre. Non abrasive, will not scratch. Ozone friendly. Does not contain chlorofluorocarbons. 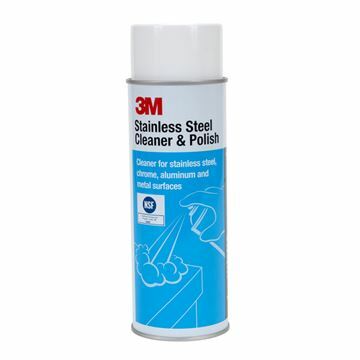 For rapid cleaning and polishing of all stainless steel, chrome, aluminium and enamel. Ideal for serveries and appliances in kitchens, food display cabinets etc. Helps protect surfaces by forming a protective film. Keeps surfaces looking good with a smooth lustre. 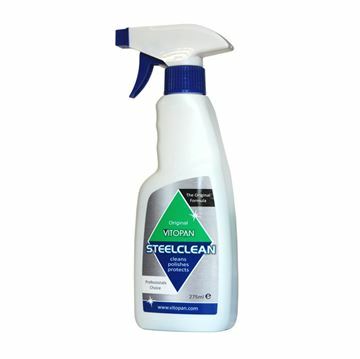 Our steel Clean formula has been proven to tackle grime, grease and other kitchen contaminents effectivley and efficiently.